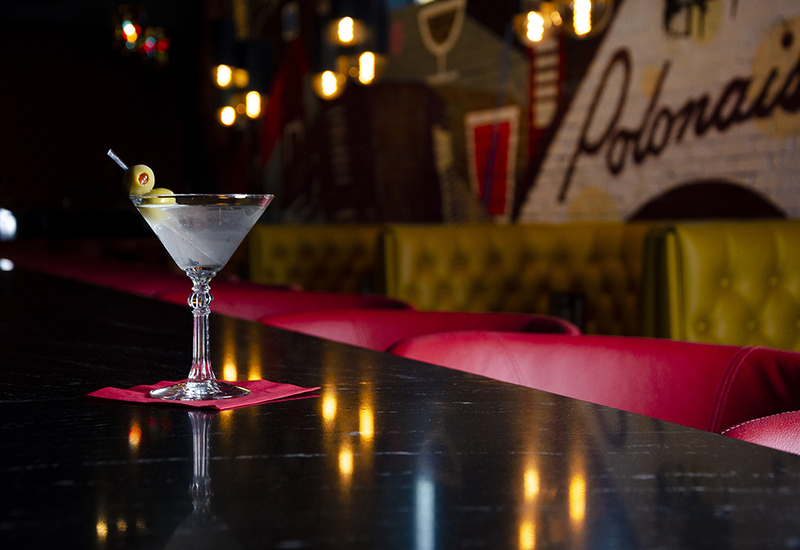 A martini at Nye’s Bar is a fine drink to reflect on the year 2018 in local spirits. In January, this bar, Nye’s in name only, opened in the dust of the demolished Polonaise Room, a place whose divey charm earned it the Best Bar in America designation from Esquire in 2006—a lifetime ago, from the look and feel of things. This new Nye’s is half the size, but there’s still a piano with a few seats scattered around it, wedged in the corner where the World’s Most Dangerous Polka Band once tinkled out “My Heart Will Go On.” This martini is still big and cold, but now there’s mural art on the brick walls. Sure the bathrooms are nicer and the seats are actually comfortable now, but it’s different. Nye’s isn’t the only bar that’s been moved or downsized under a crush of new housing this year: O’Gara’s is idle on Snelling, while Grumpy’s and Market Bar-B-Que have been pushed out of Downtown Minneapolis at opposite ends. We find our favorite drinking spaces are becoming smaller, more intimate, and yet farther away from downtown. 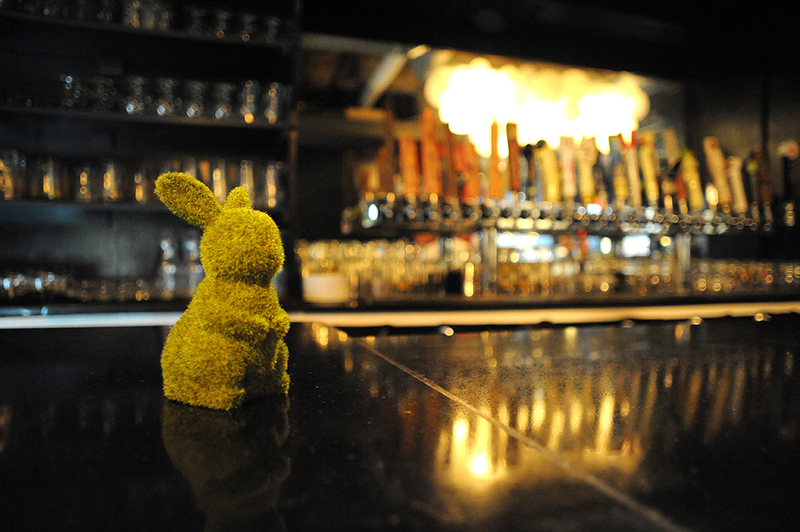 Some of our best cocktails are squirreled away in back bars, basements, and second-floor speakeasies. 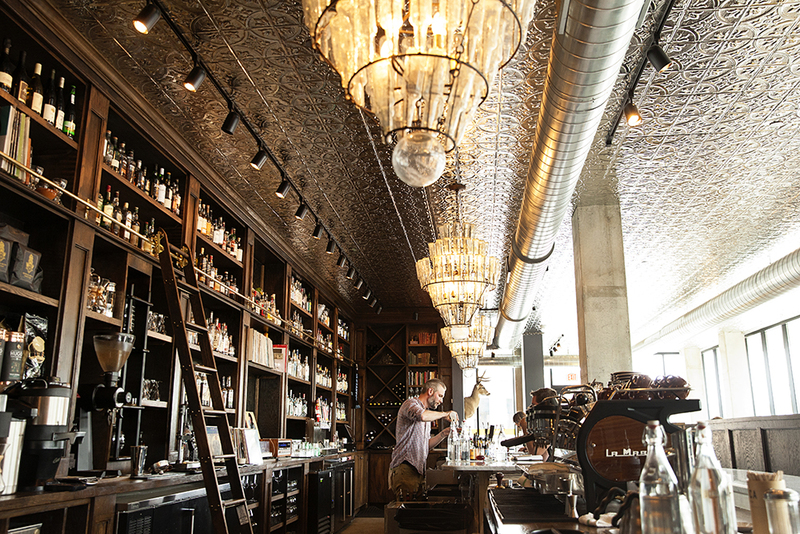 Minneapolis approved in November a ballot measure to remove restrictions on distilled liquor licenses for neighborhood restaurants—we’re excited at the prospect of finding random Negronis at the corner cafe. 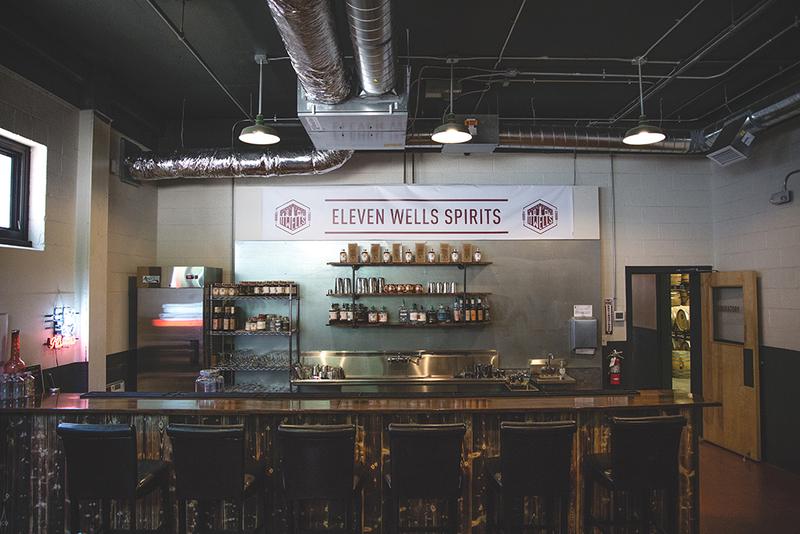 This year, local distilleries continued to build on their lineup of base spirits with new liqueurs and collaborations. Several ryes, brandies, and herbal spirits hit the market, perhaps a hint at where menus are heading. 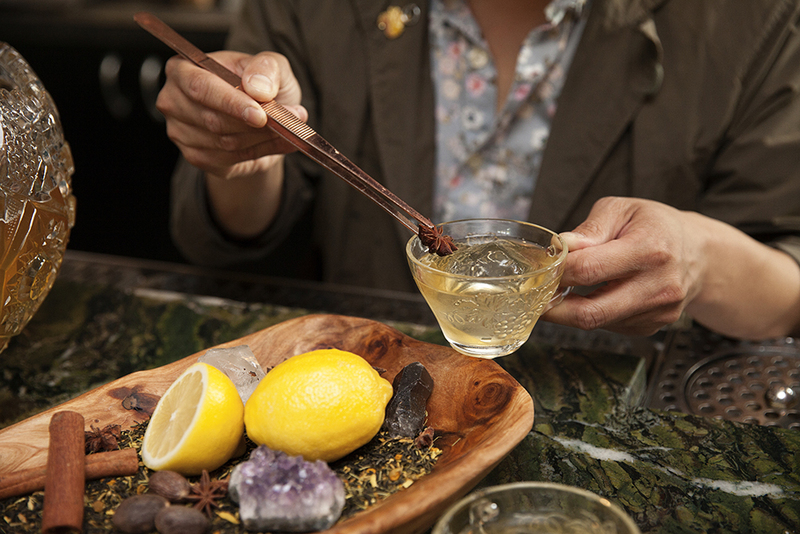 Our barometer reads that 2018 took a turn for the dark and bitter—cocktails this year were full of cognac and dark rum, bitter orange and flavored vinegar, plum and pomegranate, tea, genepy, and all the amari. So we polish off our martini and salute another year of changing tastes, new fads, and exciting developments. But then we remember that Tony Zaccardi bought Palmer’s and say a final cheers to some things staying exactly the same. 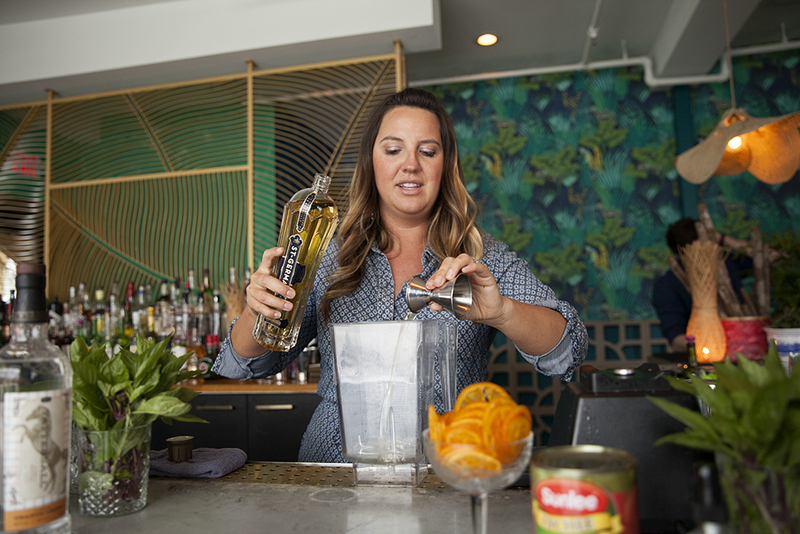 The winners of Iron Bartender 2018, these bartenders display no shortage of creativity. Kitschy themes with an undercurrent of thoughtful research and deference to timeless formulas. An engaging variety of flavors and presentations. Never a dull entry on the drink menu. A tropical patio that feels perfectly at home in snowy Northeast. Cocktails that are fun, inventive, and bright. Incorporating flavors from all over Southeast Asia in ways that match the food but with a subtle hand that doesn’t throw the drinks out of balance. Not a single cocktail priced above $9. Perhaps the most underrated cocktail bar in the Twin Cities. A model of consistency and execution, nailing seasonal and classic favorites with personal flourishes. An environment that invites a long session of coffee, snacking, and cocktailing in upscale yet cozy surroundings. Techy and detailed cocktails, laboriously designed, artfully presented with the right dose of outlandish. Zappia’s spirit-blending removes brand names from the menu in favor of more complex flavors at better prices. The Egg may have been the most buzzed-about cocktail of the year, but it was far from Martina’s best (which is saying a great deal). Finally, a white whiskey worth drinking. Built on pale malt, this unaged spirit has a grain-forward and viscous body featuring complex notes of cocoa nib, coffee, and citrus rind. It may not be aged, but thanks to rigorous research and development this moonshine has certainly matured. Can amaro be described as “quenching”? Heirloom’s begins with a juicy wallop of pure pineapple, followed up with a balancing backend of spice. 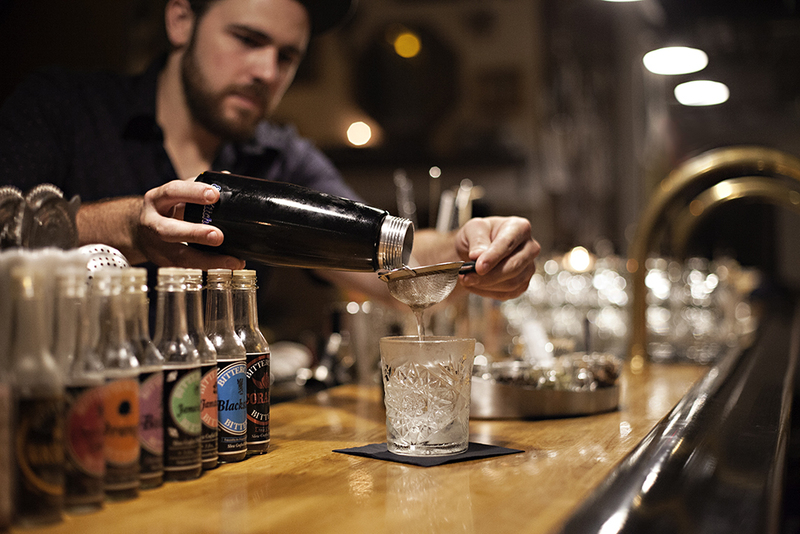 Twin Citians are warming to the amaro category, and this version will help that introduction. It’s a shot of the tropics and a triumph in sheer drinkability. The Waconia distillery is building up an impressive library of whiskey and their Straight Wheat is a powerful bookend. 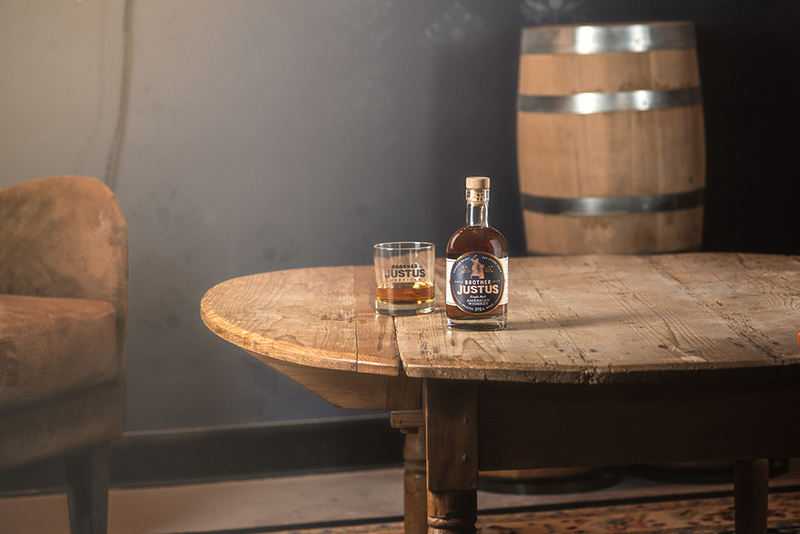 At 100 proof, it’s robust with an endearing roundness to the finish. We found a dram from the single barrel selected for Marvel Bar, and it made us marvel at how far Minnesota’s aged spirits have come. There have been a smattering of brewery-distillery collaboration whiskies in the last few years, but this one really caught our attention. The Black Ale’s dark and roasty malt profile comes through in the spirit, and a smooth finish keeps us coming back. You can smell and taste the entire fruit in this remarkable clear brandy. Dampfwerk ferments whole Bartlett pears to capture their full spectrum of flavors, from aromatic blossoms to tannic skin and juicy flesh. A beautiful expression of the source material and an encouraging example for Midwest fruit brandies as a whole. 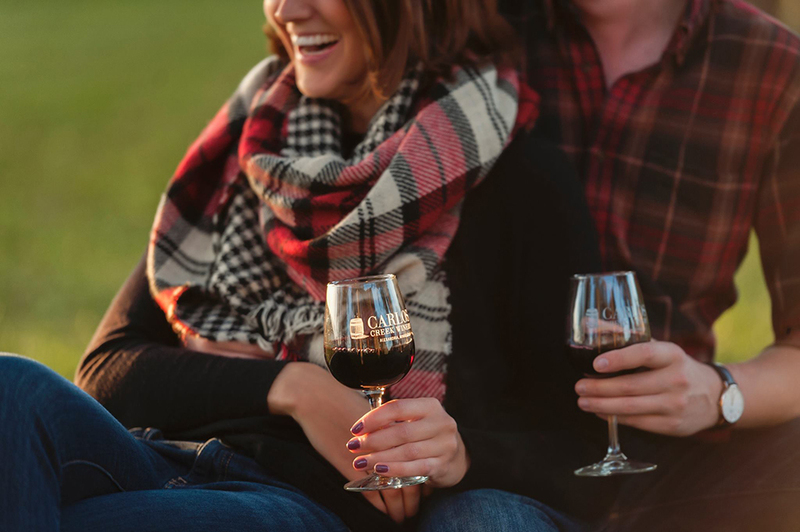 At the International Cold Climate Wine Competition in August, Carlos Creek Winery of Alexandria won Winery of the Year, with four wines scoring gold or double gold medals. Best Minnesota Wine was awarded, for the second year in a row, to Northern Hollow Winery of Foley for their La Crescent. In April, a U.S. District Court judge dismissed a suit filed by Alexis Bailly Vineyards of Hastings and Next Chapter Winery of New Prague that argued the requirement for Farm Winery License holders to use at least 51 percent Minnesota-grown grapes is unconstitutional. The ruling argued that the wineries can obtain different manufacturing licenses that don’t include the requirement. The wineries have filed an appeal to the Eighth Circuit Court. In March, Midwest vintners gathered to discuss strategies for growing and making wine using Itasca grapes. Released by the University of Minnesota in 2016, many think the grape could deliver the caliber of dry white wines that have long eluded Midwest growers. Several thousand vines have been planted in the state, and winemakers are experimenting with malolactic fermentation and skin-contact techniques. We expect to see a couple finished Itasca wines made available from the 2018 harvest. Legendary whiskey distiller Dave Pickerell passed away in November. He cut his teeth on bourbon at Maker’s Mark but made his legacy on straight rye—his Whistlepig Rye is among the pantheon of great American craft whiskies. His passing gives us pause to consider his years of consulting, educating, and proselytizing—and the rye whiskey resurgence he helped to fuel. 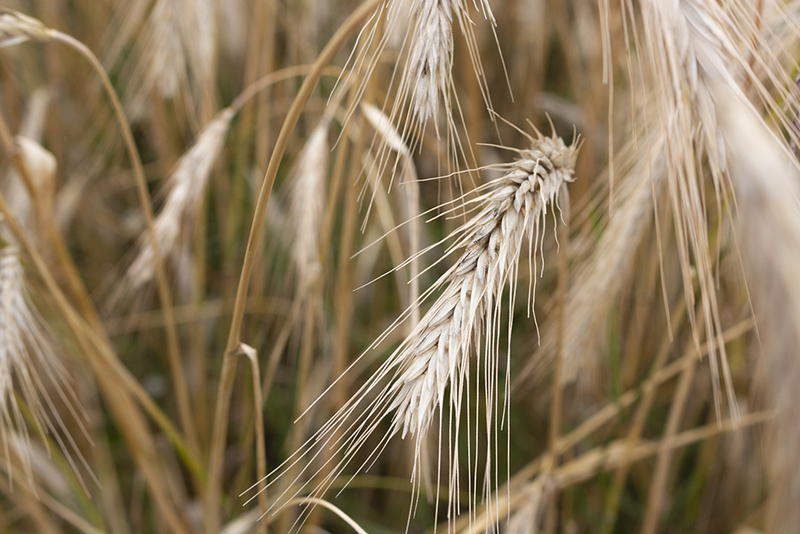 Production of domestic rye has increased nearly 1,000 percent in the last decade. Newly engineered varieties of the grain are making their way into sensory trials. Crop scientists are improving yields and it’s becoming more attractive to farmers. We’ve previously reported that the best whiskeys being made by our state’s young distilleries are ryes. It may be that rye whiskey has simply grown to fill a sizeable niche, one that still pales in comparison to the massive volume of corn and malt whiskey Americans prefer. But as serious inquiry into the grain leads to deeper insights and better distilling practices, count us as excited for more and better rye whiskey in the future. This drink was perfect with an order of double-fried gochu wings. Here’s wishing Thomas Kim and Kat Melgaard the best of luck with their new Left Handed Cook in L.A. The ginger beer was made in-house for this Caribbean classic until the Pirate Bar shuttered in January after nearly 10 years in Stillwater. Hope for a Heyday reboot was squelched in September. So with fond memories of lamb tartare and this jolt of whiskey and spice, we bid adieu to this inventive Lyndale Avenue hangout.